Organiser: The contest is hosted by NIT Warangal. 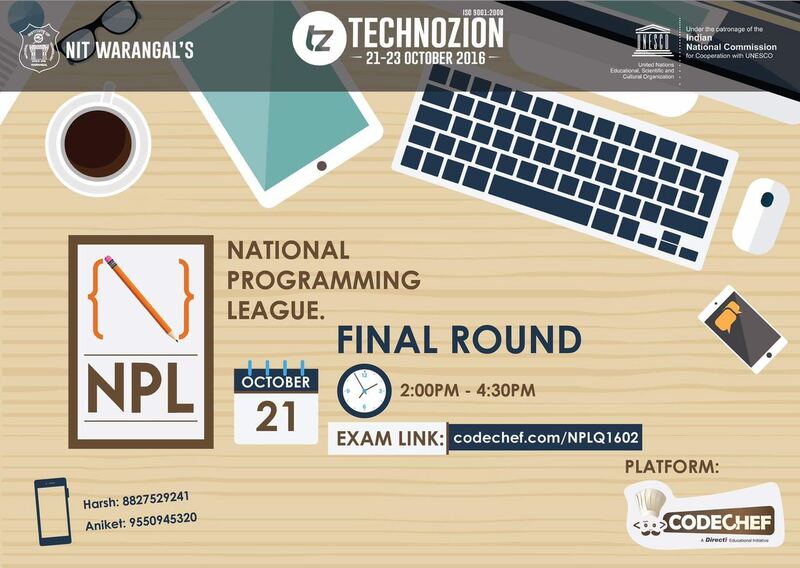 This is the final round of "National Programming League" hosted by Technozion'16. It will be open for all but the prizes will only be given to the on-site contestants. Please contact aniket.marlapalle@gmail.com for any queries during the contest. Note : The ranklist will be frozen 45 minutes before the end of the contest. NPLFLA : The given output should be 6 3. Its updated. NPLFLD : The input format is updated.